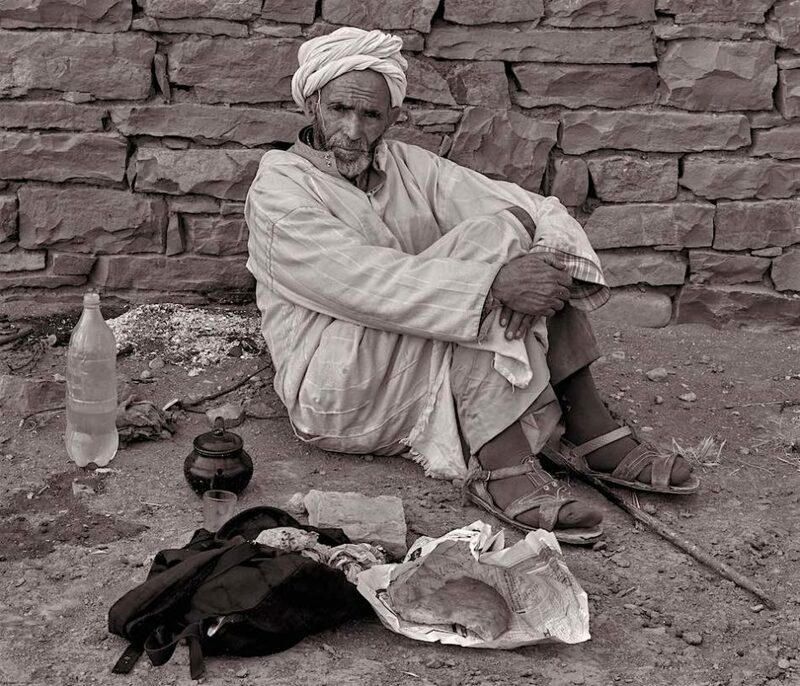 This is a unique project offering the opportunity to explore in depth a special group of people who live apart from mainstream Moroccan society. Nomads live in small groups in the rocky and sparse Moroccan mountain ranges, surviving with their flocks and moving to higher ground during the spring for grazing. I’ve spent time with them over the years and I’m offering small numbers of people to chance to explore their locations in depth giving one of the most rewarding experiences documentary photography workshops can offer. When: Available in 2019 during the second week in April and last week in September. Enquire via email for suitable slots. Price including: Daily 4×4, 6 nights accommodation, breakfasts, guiding and subject fees: USD 2400 pp. based on two people with their own room. These documentary photography workshops will be available as bespoke tours for one or two people during the spring and early summer. Located in the High Atlas at 2000m plus, it will be a 4×4 daily excursions exploring the nomad camps scattered throughout the region. The opportunity will be to record nomad families going about their daily lives via reportage and/or portrait shooting, the choice is yours. Each day we’ll set off to the areas where nomads typically live and spend a morning and afternoon session with one or two different families. You’ll be offered technical and creative instruction on location where needed, with the chance to direct your photography as you wish to work with regards to light and background. The days are long so our accommodation base at the foot of the mountain range will be comfortable with excellent food and a pool. A less expensive hotel reduces the price by USD220. I’ve planned for 5 days photography excluding travels days from Marrakesh, your entry and exit point. Although we drive close to each camp, there is sometimes short distances to walk over rocky ground although we can tailor this to suit guests. Drive times each day will vary from 2/3 hours across short distances but off road. The connection from Marrakesh is around 6 hours so I’ve allowed two days travel for this, giving you 5 days of photography in the mountains. For more information about the kinds of access you can get you can read my published article below. To express an interest please email me at: darren@photomaroc.co.uk or visit the booking page.